This was the first time I've ever seen a red sunflower. 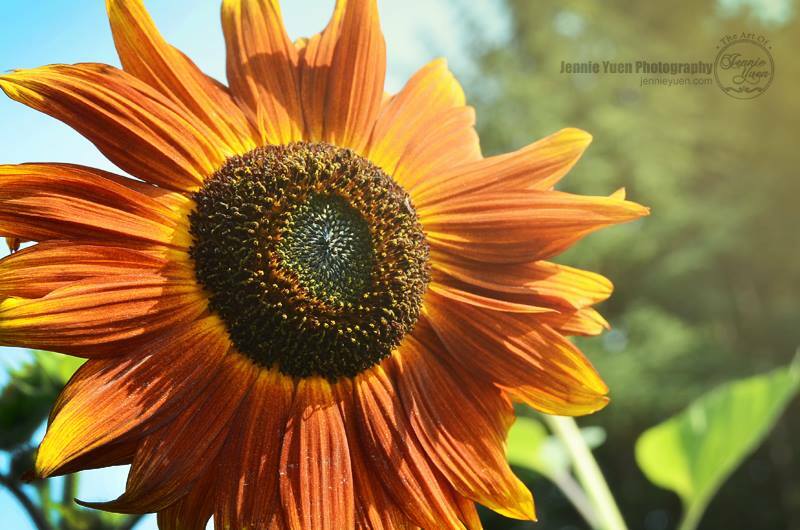 Have you ever seen a red sunflower? It's actually more of a dark orange color. What I love about this photograph is when I see it, it makes me feel the warmth and the love. It reminds me of summer. I'm a summer-kind of person. It was the last nature/floral photo I've taken of before the cold autumn season.